In either trim, there is no question that this 0081 S would make a fine dual-purpose machine eligible for events such as the Mille Miglia, Colorado Grand, Coppa d’Oro delle Dolomiti and even the Shell Ferrari-Maserati Challenge. 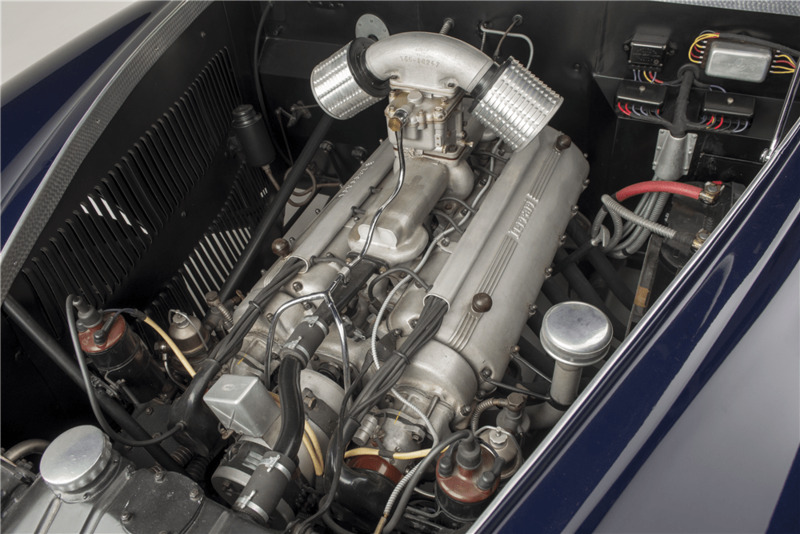 Given its comfortable accommodations and impressive performance (comparable to a 166 MM), this early 5-speed Ferrari is particularly well-suited for rallies and driving events. It should also be noted that this superb 195 is offered with a tool kit, jack and manuals, as well as a complete report compiled by Marcel Massini that includes ownership history and copies of the original Ferrari Build Sheets. 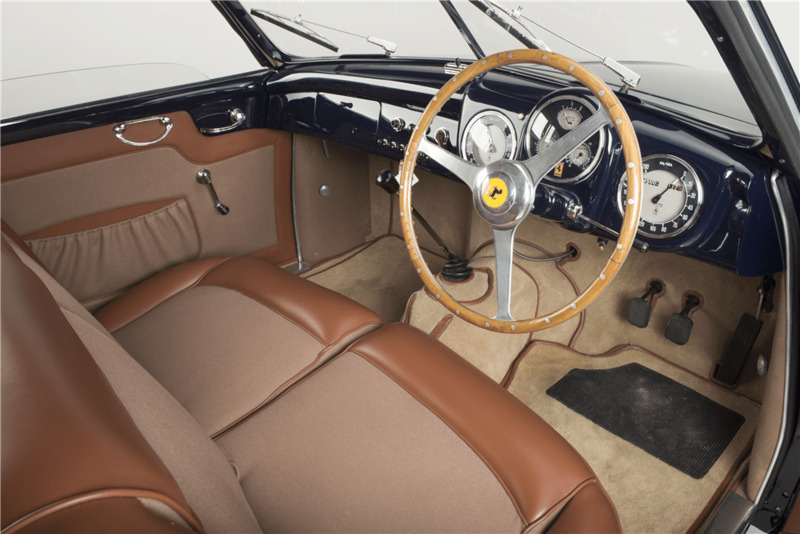 This sophisticated 195 Inter is not only one of the most visually appealing early Ferrari road cars, it is extremely authentic, thoroughly documented and beautifully restored. 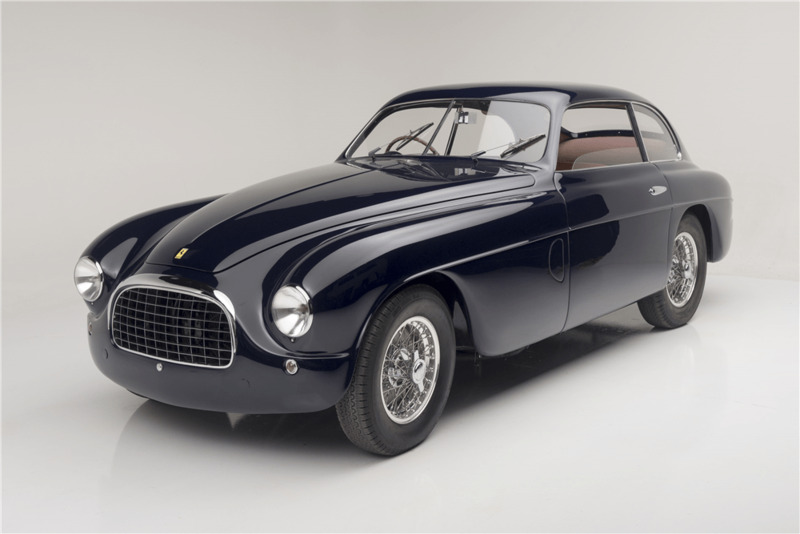 As the first chassis in the 195 series and a former Tornio show car with singular features, 0081 S exudes the character and distinction sought after by the most discriminating connoisseurs. For the collector who seeks only the very best, this breathtaking Touring Coupe presents a most enticing opportunity.